Essentially, phagocytosis may be described as a form of endocytosis through which a cell engulfs particulate matter/ solid particles/ cells. 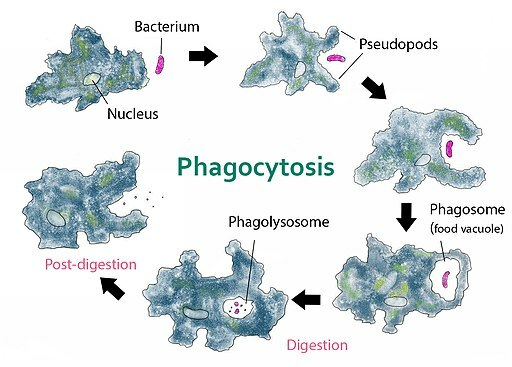 For different types of cells, phagocytosis plays a number of different roles ranging from food ingestion to the destruction of given cells and particulate matter. * Generally, phagocytes are divided into two major groups. These include "professional phagocytes" (white blood cells) and "non-professional phagocytes" (such cells as epithelial cells). Living cells take in different types of material across their cell membrane. For the most part, a majority of these material/molecules such as ions, fluids, and oxygen among others easily pass through the membrane through such mechanisms as ion pumps and osmosis among others. Some of the matter, e.g. particles like viruses, may prove too large to pass through the membrane through such mechanisms. For this reason, the cell has to engulf such matter/objects into the cell. This process involves the invagination of the cell membrane in question which allows the cell to take in the object/particle. Depending on the cell and the mechanism used to engulf such material/objects, endocytosis is divided into phagocytosis, pinocytosis and another process known as receptor-mediated endocytosis. What differentiates phagocytosis from pinocytosis is that phagocytes posses special surface proteins that allow them to specifically identify and bind to given particles before ingesting them. This type of endocytosis is dependent on the binding between the cell and the target object/particle. This step of phagocytosis occurs when the cell comes in close proximity to given objects/particles. For instance, when phagocytes are near such cells as bacteria, this activates the phagocytes and stimulates binding. * The first step also involves chemotaxis. Here, the cells move towards the area with a high concentration of the foreign particles/cells or molecules. Cells are chemically stimulated by the presence of the foreign molecules/ particles etc. Here, surface receptors on the phagocyte bind/adhere to the surface of the particle. 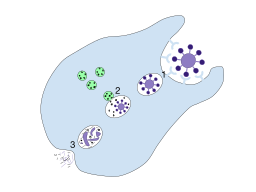 This step of phagocytosis is necessary for the molecule to be ingested. Depending on the cell, there are different types of surface receptors that play an important role in phagocytosis (binding). * Receptor binding is an important step in phagocytosis allowing the cell to identify the object/particle/bacteria etc and thus elicit the appropriate reaction. The cell (phagocyte) starts expanding as it surrounds the molecule. This process also involves formation of a vacuole or vesicle around the molecule as it is completely ingested. In some cells, enzymes in the vesicle (e.g. lysosome) break down the molecule into simpler components. Waste materials that cannot be used are then removed from the cell through a process known as exocytosis. However, for phagocytes involved in immunity, special structures are known as peroxisomes are created to trap and remove toxic molecules. Efferocytosis refers to the process through which apoptotic cells (dead cells) are removed by phagocytic cells. This is one of the most important processes in multicellular organisms given that it contributes to tissue homeostasis in addition to resolving inflammation in the infected site. * Both professional and non-professional cells can ingest dead cells. Efferocytes are activated by a number of molecules released by dead/dying cells. Molecules released by these cells include chemotactic molecules that release the "find- me" signals (triphosphate nucleotides) as well as those that display the "eat- me" signal (phosphatidylserine). 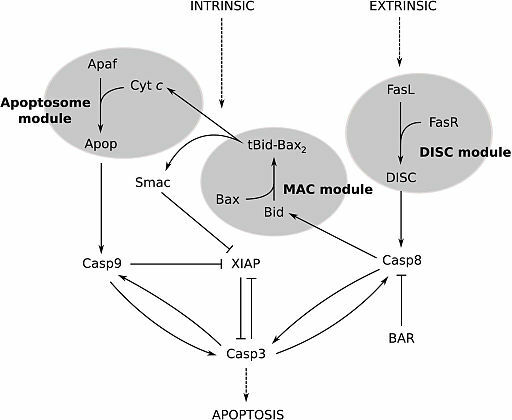 Some of the other molecules that have been shown to activate phagocytes include various carbohydrates and proteins. Using specialized receptors on their surface, phagocytes interact with the signaling molecules on the surface on the cells which allows them to recognize the cells. This is also achieved through bridging molecules. * For healthy cells, a molecule referred to as transmembrane protein CD47 has been shown to play an important role in preventing the cell from phagocytosis. When cells die, they lose the molecule. Following the attachment between the phagocyte and the cell, the phagocyte membrane undergoes modification (cytoskeletal rearrangement) which makes it possible to surround the cell from all sides and engulf it. 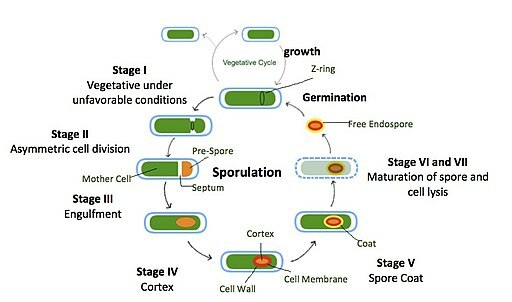 During this phase, lysosomal enzymes are released and rapidly degrade the cell. This may take between 60 and 60 minutes. * Compared to pro-inflammatory responses in higher animals, efferocytosis is described as an immunologically silent process. This is because it is anti-inflammatory. As such, it is involved in the production of anti-inflammatory cytokines and inhibits inflammatory signaling of the cells that are ingested. Unlike phagocytosis of apoptotic cells where both professional and non-professional phagocytes may be involved, infection by various invading/ pathogenic microorganisms such as bacteria and viruses triggers immune responses where only professional phagocytes are involved. Infection of a given site in the body stimulates the delivery of neutrophils to the site through chemotaxis. Here, such attractants as tissue debris and bacteria product activate the movement of the phagocytic cells to move to the infected site. * Neutrophils are able to reach the site fast because they are always circulating in the blood. Through such processes, these cells are able to migrate through the vascular walls to reach the target site. Bacteria with such molecules/ substances as IgG or C3b are easily identified by the phagocytes. Here, such receptors as opsonin receptors on the plasma membrane of the phagocyte bind to these molecules allowing for the bacteria to be identified and ultimately ingested. Here, it is worth noting that different types of phagocytes have different surface receptors. Therefore, it is only through successful binding with the appropriate surface molecules on the invader that the organism can be ingested. Protozoa are unicellular organisms that can be found in different environments/ habitats. Compared to the other cells described here, protozoa depend on phagocytosis for energy given that the process is used as a feeding mechanism. * A majority of protozoa are grazers that also feed on single-celled organisms like bacteria and smaller protozoa. Based on various studies, phagocytosis in such protozoa species as Amoeba proteus involves steps similar to those of metazoan phagocytes. As such, it involves recognition of the prey, movement towards the target prey and ingestion of the prey. Therefore, as is the case with such phagocytes as neutrophils, chemotaxis is involved in the phagocytosis process in protozoa. Phagocytosis in protozoa has in particularly been well demonstrated in the presence of such prey as Tetrahymena. 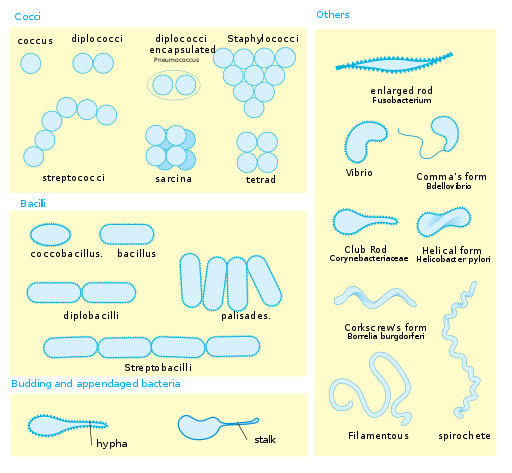 When the ciliates of the prey come in contact with the protozoa, they stimulate the formation of one or more pseudopodia where the prey are trapped (engulfed) and finally ingested. In culture, protozoa has also been shown to move from an area of low prey (e.g. bacteria) concentration to an area of high prey concentration which shows that they are capable of identifying the prey (through chemotaxis) and moving towards it. Once captured and ingested, the prey remains in the food vacuole where it is acted upon by the appropriate enzymes.